About 500 meters away from the gate of the Forbidden City in central Beijing, a dismayed Zhang Lin saw the scrolling caption on a digital display: "All tickets to the Palace Museum during the Spring Festival holiday have been sold out." 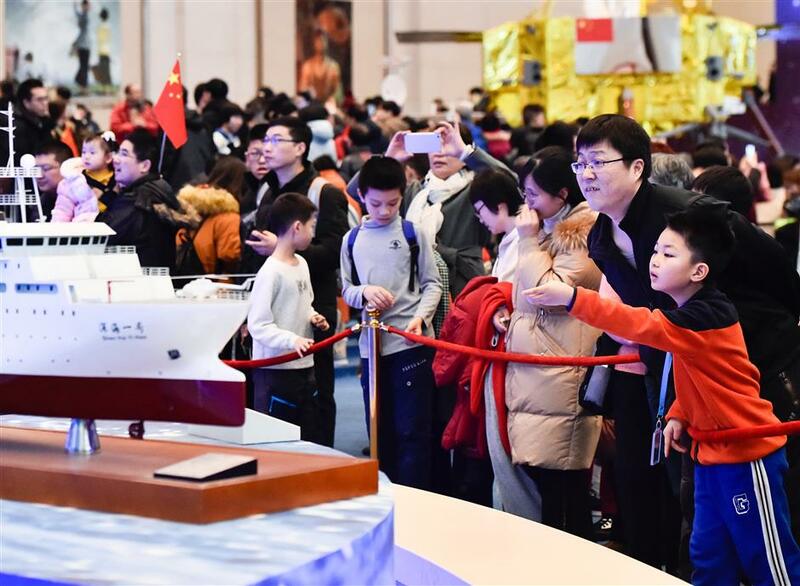 "I didn't expect a museum ticket to be as popular as a train ticket during the Spring Festival," said Zhang, a college teacher from northeast China's Liaoning Province. "It's a pity I hadn't booked the tickets earlier," he said. "My family missed the chance to have a royal taste of the Spring Festival." The former palace, which admits 80,000 visitors per day, became more popular this year in the otherwise freezing off-season because of an ongoing New Year exhibition, the museum's largest with 885 relics. These include a rare collection of the Chinese character "Fu," meaning happiness and good luck, written by five Qing Dynasty (1644-1911) emperors. "Luckily, we've got a plan B," said Zhang, pointing to the adjacent National Museum of China. Among them was an exhibition to commemorate the 40th anniversary of China's reform and opening-up, which was launched in November, and a display of the Bronze Tiger Ying, a looted Chinese bronze vessel recently brought home. Shan Jixiang, curator of the Palace Museum said: "Spending the Spring Festival in museums has evolved from a slogan for promotion to a common way for the public to mark this traditional holiday." "There has been a marked increase in museum visitors during the Spring Festival since 2015," said Guan Jun, who has been a museum volunteer for six years. China's 5,136 museums saw nearly 1 billion visits in 2018, figures from the National Cultural Heritage Administration show.